While many students are relaxing for their summer break, four local kids volunteered to help with the Rotary project “Little Dresses for Africa”. 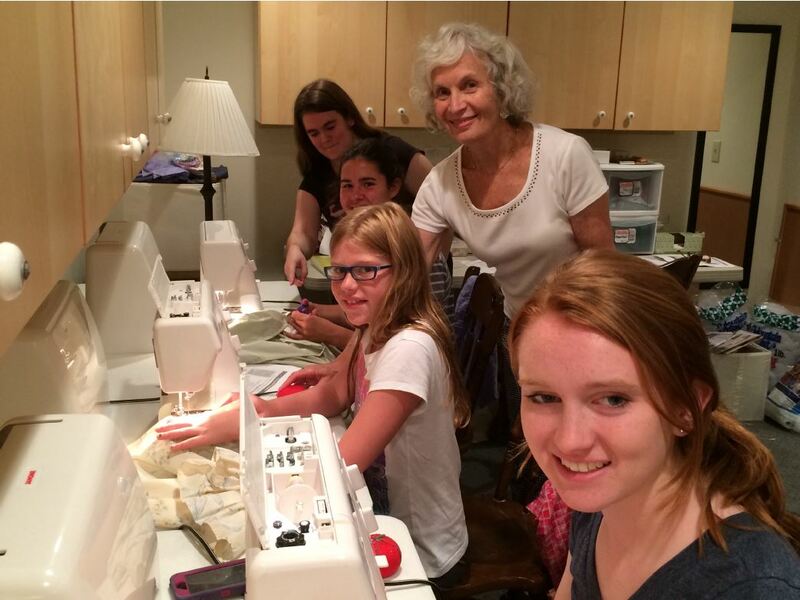 Avon Lake Sewing teacher, Nancy Erdman, (Sewing with Mrs. E) gave her sewing class the opportunity. “Right away they were enthusiastic and ready to help,” said Nancy. Olivia Davis, and Carolyn Kraus from Avon Lake, Mia Russell from Bay Village and Mackenzie Molnar from Amherst are sewing several dresses each during class and in their spare time. The Rotary thanks these girls and other local volunteers who have donated completed dresses and new/used pillow cases and accessories like ribbons, lace, buttons and more. The simple dresses are made from pillowcases and distributed to orphanages, churches and schools in Africa, Trinidad, as well as Honduras, Haiti, Mexico, the Philippines, Guatemala, and in the U.S. when needed. Earlier this summer, the Avon /Avon Lake – Sheffield/Sheffield Lake Rotary Club became involved with this international project. Recognizing a need for clothing for boys the Rotary will also take on a similar initiative of “Britches for Boys”. Please call (440) 653-0118 for further information. For those interested in joining Rotary, check out http://www.avonavonlakerotary.org. The group meets at 7:30 a.m. every Tuesday at Towne Center Community Campus, 500 Community Drive in Avon Lake.